New Corsica Stix a hit at DCB! Corsica Stix™ are delicious crisps derived from our signature Corsica Loaf™ bread. We “docker down” the Corsica Loaf™ before it goes into the Stone Oven, then slice it up with Samurai Swords and roast the golden morsels! Learn more here. And stop by to try them for yourself! We're open this weekend and Christmas Eve, reopening Thursday through Monday, New Year's Eve. This is an old Italian family delight called Potica (nut rolls). Merry Christmas and Happy Holidays! 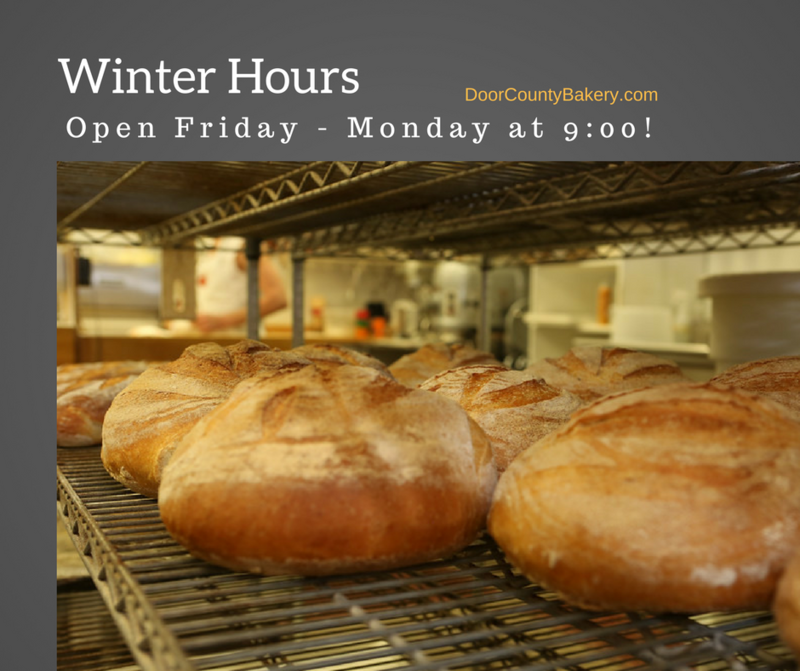 Fall hours are returning to the Door County Bakery as the days get a little colder and shorter. Summer hours are here again in Door County. 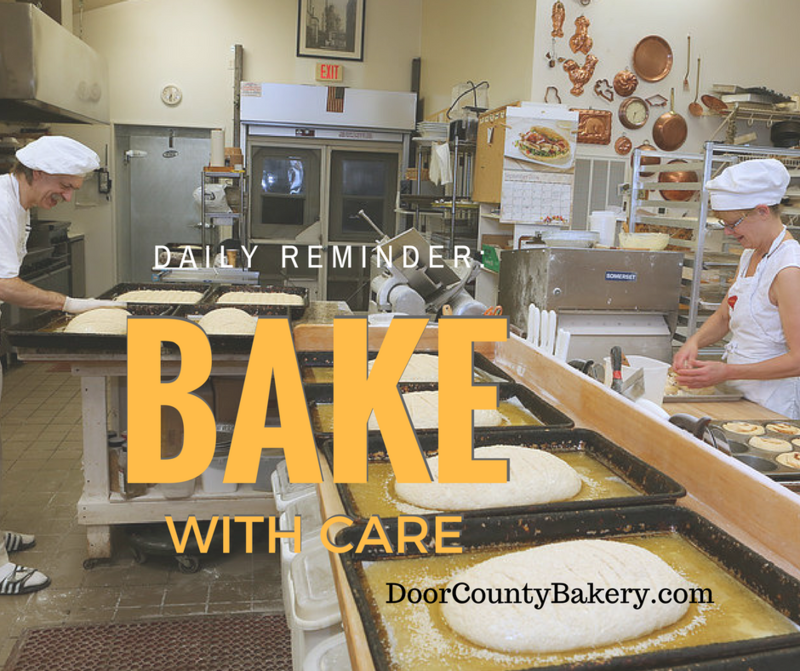 For the Door County Bakery that means we're open five days a week from 8 a.m. to 4 p.m. So, you'll have even more opportunities to stop by and enjoy breakfast or lunch or a frothy latte. 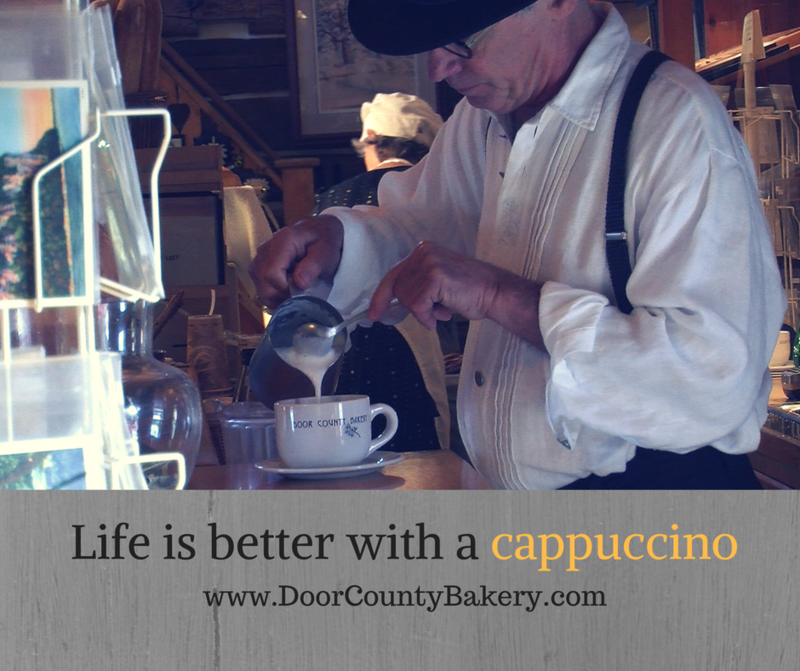 ​Monday 8 a.m. - 4 p.m.
​Saturday 8 a.m. - 4 p.m.
We're delighted that the DCB Cappuccino Bar has become a highly recognized part of the Bakery. It's located right at the front entrance, and most often where you'll first see Don. He can be heard saying, "Good morning folks, would you like a cappuccino?" 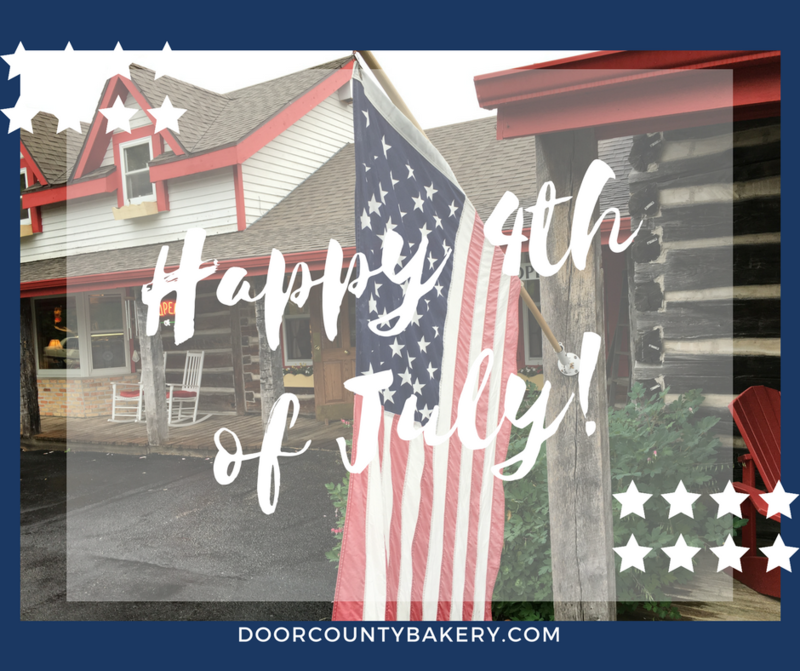 Hoping you have a safe and enjoyable 4th! 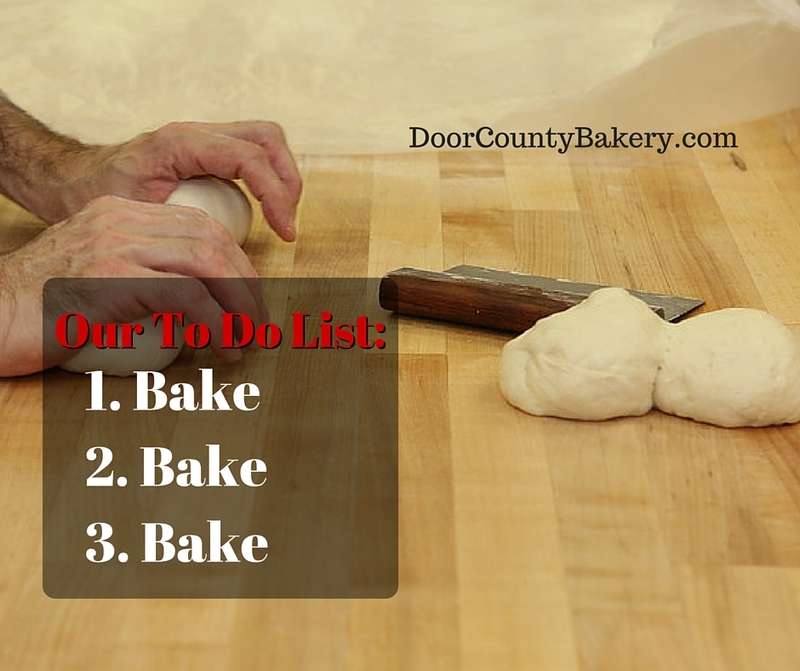 We think we have our priorities straight: Baking all of the wonderful breads and pastries for you. Take some home or join us for breakfast or lunch.